Alec Guinness was a classically-trained artist who worked with David Lean, John Gilgud, and starred in numerous Shakespeare plays. His was considered a member of the Great Generation of British actors which includes Sir Laurence Olivier, Sir John Gielgud and Sir Ralph Richardson. In 1934, Alec Guinness began his career in classical theater while he was studying drama at Fay Compton Studio of Dramatic Art. During WWII, he served in the British Royal Navy and his career picked up post war with his role as Herbert Pocket in Great Expectations. The Alec Guinness collection includes his appearance as the narrator of a production of "The Man Who Could Work Miracles" on Theatre Royale, as well as an appearance of a Halloween special of Anthology. 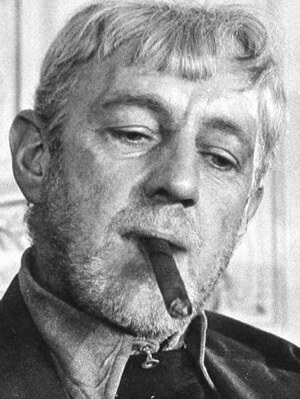 Contemporary audiences may also recognize Alec Guinness as Obi-Wan Kenobi in the Star Wars franchise. Many thanks to you (and the postal service) - my CD arrived this morning with the files all present and correct - taking eight days including the holiday season across the Pond! I'm impressed! I'll have another browse of your catalogue and see if there's anything else I like the look of. Happy New Year to you.